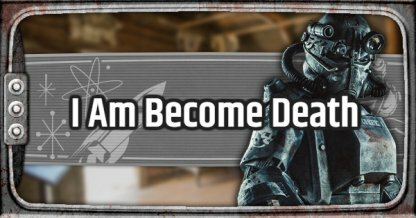 Check out this guide for a full walkthrough of the I Am Become Death Main Quest from Fallout 76, including gameplay tips, guides, & more! Steps are currently incomplete. Check back for updates. 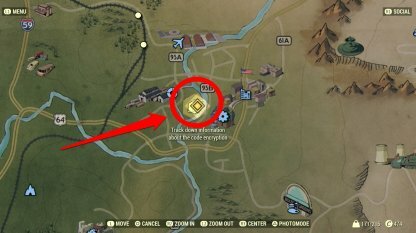 The Whitespring Command Center is located just south of the Whitespring Resort. 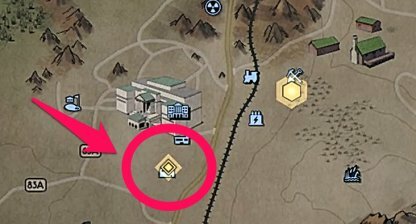 You can find it easily when using the Whitespring Resort are your landmark. 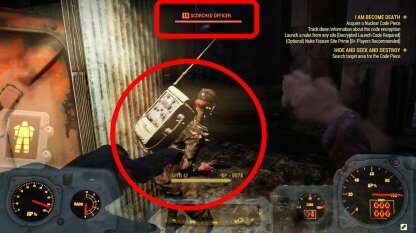 The Whitespring Bunker can be confusing to explore. To find the command point, head towards the hallway to the Brig, You will find another hallway next to it that will leave you to the Command Center! 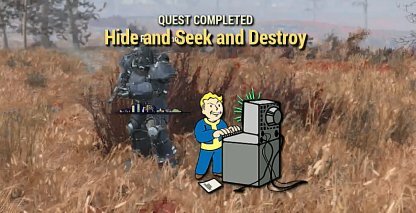 This will require you to finish a side quest in order to progress with "I Am Become Death". Here, you will need to bring down a Cargobot, which is carrying a Nuclear Keycard. 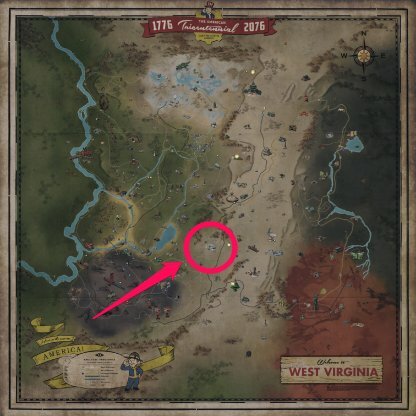 There is no exact location for the Cargobot on the map as it is constantly moving around. 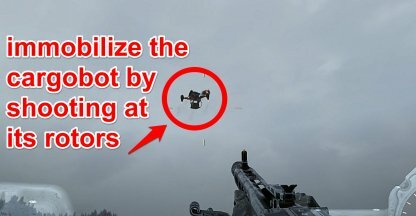 Make it stay in one place by shooting at its rotors so it is forced to hover. It will become an easier target for you when its engines are destroyed. 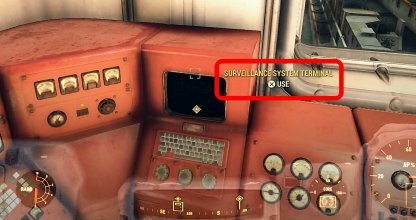 You will need to go back to the Whitesprings Bunker and use the Surveillance System Terminal to scan the map for a Nuclear Code Piece. No exact location is given. The area you will need to search, switches every time you need to log in. Nuclear Code Pieces are dropped by Scorched Officers. You will need to kill them, and loot them to acquire the Nuclear Code pieces. They are not very high leveled, making it easy for you to kill them. You will be able to find the information needed to decipher the code encryption in Mama Dolce's Food Processing. It is East of Vault 76, and West of the Vault-Tec University. There will be pipes behind Mama Dolce's Processing which will lead to the Fujiniya Intelligence Base. 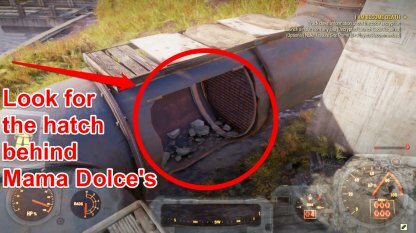 There will be a hatch that you can open on the end of the pipe to be able to access the base. You will need Mama Dolce's ID Card to access the Fujiniya Intelligence Base. It is located in her office at the upper floor of Mama Dolce's Processing. It can be found next to the terminal in the office. 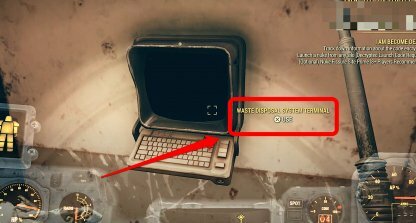 Inside the Intelligence Base, look for the Waste Disposal System Terminal. 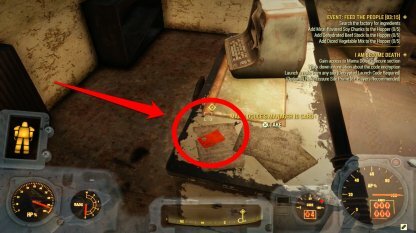 It can be found at the lower floors behind some generators, You will be able to find information about the code encryption after reading the logs in the terminal. There are three different silos for you to choose from when launching the nuke. 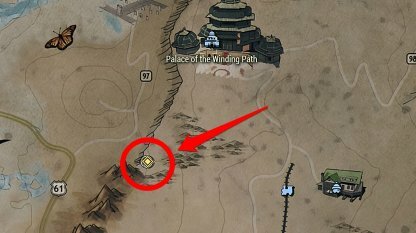 One of the choices will be Site Bravo, along the mountains just North of the "Palace Of The Winding Path", West of Sunnytop Station. Before you get to launch the nuke, there will be a mission you need to complete. 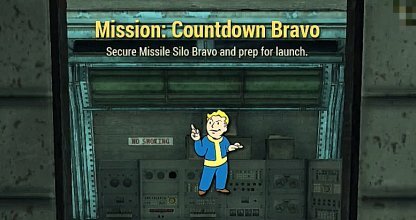 "Mission: Countdown Bravo" will have you secure the silo from Assaultrons, Protectrons, Gutsy's and more in order for the launch to go smoothly.